Day 04: Dhunche to Syabru 2130m. The trail leaves the road and follows the Trishuli River crossing it and climbing steeply and then leaving a ridge to Bharu 1860m. 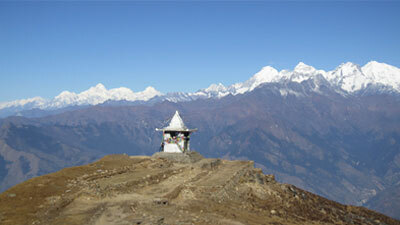 From Bharku climb to 2300m. 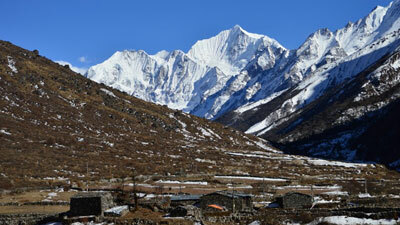 and enter the Langtang Valley with views of Himalayan peaks to the west north and east. The trail descends rapidly to Syabru. 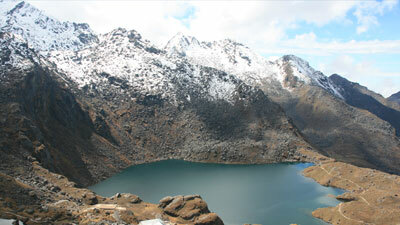 Syabru is a junction point for many Langtang trail. Day 05: Syabru to Lama Hotel 2380m. 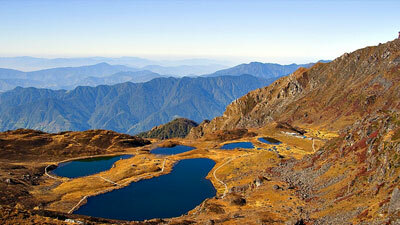 The trail descend through forest to the Langtang River at 1890m then follows the river stream, crossing from the southern to northern bank to reach Chongong or Lama Hotel. Day 06: Lama Hotel to Langtang village 3500m. The trail continues to follow the Langtang River climbing steeply at time very steeply at time very steeply, to Ghora Tabela 3000m. 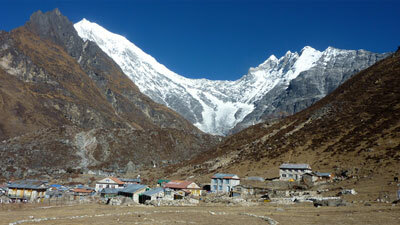 where there are fine views of Langtang Lirung. 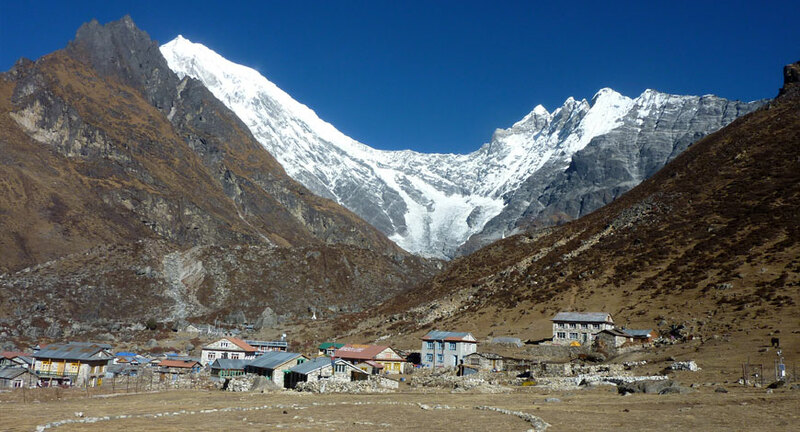 Day 07: Langtang Village to Kyanjin Gompa 3800m. 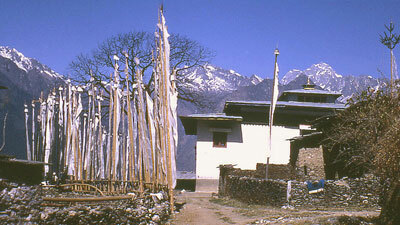 Passing through small village it only takes the morning to climb to Kyajin Gompa where there is a monastery lodges and a Cheese Factory. Day 08: Kyanjin Gompa. Rest day or day walk to be made to Yala or further up the valley for more superb views. Day 12: Drive back to Kathmandu and half day sightseeing and in the evening a farewell dinner with a cultural show.